Sports fans in Atlanta will soon have two new stadiums to look forward to attending in the near feature. In the case of the Braves, Turner Field, which was built as Centennial Olympic Stadium in 1996 and then converted into a baseball stadium, is in its second to last year of operation. In the 2017 baseball season, the team will be using the new Sun Trust stadium north of Atlanta in Cobb County. The Atlanta Falcons are also getting a new home, as the aging Georgia Dome built in 1992 will no longer be used. The Georgia Dome currently hosts the NFL franchise and the University of Georgia NCAA team, as well as a soccer team. The New Atlanta Stadium, as it still called, pending the sale of naming rights, is being constructed in an area near the existing Georgia Dome and is expected to be something of a modern marvel when it is complete in 2017, complete with an estimated $1.4 billion price tag. The stadium will host the Atlanta Falcons, an MLS team. Owners hope it will be the sight for a future Super Bowl and possibly a FIFA World Cup. While there is much to be excited about with the new construction, it is important to remember that it involves a lot of hard work from hundreds if not thousands of dedicated construction workers, and, as our Boston workers’ compensation attorneys can explain, working in construction is considered one of the most dangerous occupations in America. It is often a question of when a worker will be injured instead of if he or she will be hurt on the job. According to a recent news article from Fox News, a worker was seriously injured at the construction site of the New Atlanta Stadium. Authorities say the 28-year-old worker was on the job when a series of metal scaffolding collapsed and fell on his head. First responders were called to the scene, and, when they arrived, they immediately took him to a local level-one trauma center, where doctors diagnosed him with a serious head injury and other medical issues. The family says their loved one suffered intracranial bleeding, facial fractures, spinal cord injuries, and a severed ear as result of the serous on-the-job accident. The family claims the scaffolding was being moved at the time of the accident, and they are demanding to know why this happened and who was responsible for supervising the moving of the scaffolding. A representative for the construction company issued a statement via telephone to the news media saying they were saddened by the incident and are investigating the cause of the accident. They said they always strictly adhere to safety standards and also that the United States Occupational Safety and Health Administration (OSHA) is conducting an investigation. 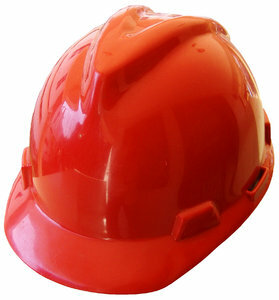 It is agency policy for OSHA to perform an investigation in any fatal on-the-job accident, and industrial accidents which result in head injuries. In the immediate aftermath of the serious on-the-job accident, construction managers shut down the job site entirely, so an inspection could be performed and witnesses could be interviewed to learn what exactly went wrong the day this worker was severely injured.